Invoice Ninja is a free open-source system to invoice, accept payments, track expenses and time tasks. "The BEST open-source small business invoicing and time tracking software." Invoice Ninja is a must have if your looking for invoicing software, with time tracking, inventory, expense tracking and more. Invoice ninja is designed with modules that you can enable or disable depending on what your business needs. It includes a basic CRM, products module for inventory, invoicing, quotes, proposals, project tracking, task and time keeping, expense's module with digital receipt attachment, vendors and various reports. You can also process your invoice payments online with paypal or just about any other online payment processor. It also has an awesome client-side portal allowing your clients to login and view project status, invoices, make a payment, and online statements. The invoices can be completely customized from top to bottom as well allowing you to include our companies logo or color branding. Host the software and get these features for free. There's not much to dislike honestly. I do wish the software had a ticket management/helpdesk system integrated. I also feel the software moving to a cloud hosted paid solution, which is discouraging. There's limited documentation on developing 3rd party modules yourself as well. If your looking for a freshbooks alternative that's NOT QUICKBOOKS, look no further! Invoicing, Time Tracking, Payment Processing, expense tracking, project tracking all solved in 1 platform! The ability to create professional looking invoices quickly, mark off payments and provide a portal to my clients so that they can see all invoices and payments. It is easy to go in and amend invoices and partially pay invoices. It supports online payments but I don't use that at present. Being cloud-based it can sometimes have delays which has caused me some issues such as sending out the same invoice more than once. It doesn't seem possible to enter a single payment for multiple invoices but they are continually improving the system. I have tried many different systems and this is great if you are on a tight budget and don't need a full accounting system. It means that I don't have to have an expensive accounting system or that I can use an accounting system that does not include invoicing. It is ideal for solo-preneurs and small teams. I also use my system for some non-profits that I help to administer and I can share access to each organisation. "InvoiceNinja, a great open source software for invoicing and quoting"
Last year I was looking for an online invoicing software for my small business. I found a lot of options, but none of them seems sufficiently comprehensive and adequate for my needs. Finally, I found InvoiceNinja. At first I tested the commercial version, the free plan, but soon I notice it was to limited for my needs. Later I found that there was an open source version. I installed it in my shared hosting via the cPanel application installer. I have to say that the software is very good. Super easy to use and customize. Free to use. It has invoicing, quoting, task and projects management, payments, expenses and other useful things. It is a small accounting software for your business. One feature I consider very important is the integration with Zapier, so you can automate many things related with your company operation. A not so good thing about InvoiceNinja is the manual installation of the software in a server. I consider my self a geek man, but I have to say, I could not install the program on my own, so I had to use the cPanel installer. I think the installation process should be less complex for the average user, freelancers and small business. I really have no more complaints about InvoiceNinja. It is perfect for my needs. If you need an invoice and quote tool for your business, InvoiceNinja is the first you must consider. Well, If you need, and who not, an invoicing and quoting tool for your business, either of services or products, without a doubt, you have to use InvoiceNinja. The open source version is enough for most business needs. You can quote customers, take care of projects and tasks, and finally invoice them. All in one tool. Great. "invoice ninja makes task management and invoicing easy!" I like how easy it is to keep track of everything in invoice ninja. I can track expenses, clients, quotes, invoices, you name it. I really like the ability to self-host it as well. I have my own installation on my private server, which allows more customization of invoice, quote, and email templates. The only thing I don't really like is the update process for the self-hosted version. It always gives me a few hiccups. I think it's important to make sure you have someone who can help you install it if you decide to self-host. If you're just using the online version, you're good to go. I use invoice ninja for all my freelance and business invoices. The time tracking feature for project tasks is great. I can transfer those tasks directly to the invoices. "Simple and Free Web Based Invoicing"
The cost, obviously... it is free :) Actually, I like how simple Invoice Ninja is to use and that it is web based. I can invoice clients from anywhere and they can easily pay through the email that they are sent. If you need a more detailed system, then you will have to pay. Even then, Invoice Ninja's paid plans do not have everything that some people will need if they are used to a robust system like Quickbooks. I was terrible at billing clients and keeping track of receiving payments. Because of how simple Invoice Ninja is, I find that I keep track of my time and send out bills... and get paid... more frequently. "Great product, everything you need, easy to use"
The easy user friendly interface. Everything I need to do invoicing is right there, just a click away. It is incredibly fast. Once you're set up, you can edit invoices, add items, send invoices, enter payments, send receipts etc, with just a few clicks. There isn't anything I dislike. There are so many advanced features that I don't use, because I am running a small, one-person business. . This is not like other invoicing software companies. It's a really small business and the owners are amazing. You get instant personal customer support. There are always new features added, they seem to be working on this product non stop. I'm really happy with it. Really easy invoicing. I love the reports. I can easily see how much I've earned within a given time period. I love how easy it is to create an invoice and send it by email. I really can't imagine the process being any easier. And I say that as someone who hates everything to do with accounting! "Good quality invoicing for small businesses and freelancers"
Invoice Ninja has everything a small business owner needs when it comes to invoicing, making payments, tracking work time, and even project management. At its heart it’s an invoicing system but it does so much more than that as well. I use it to send write and send all my invoices. The system is able to accept all forms of payment via multiple payment gateways, which makes things very easy. There’s also a lot of great automation tools which speed up things considerably. Together with the time tracking and Kanban board tools, I can’t really imagine using any other system, other than Invoice Ninja. There’s not a lot wrong with Invoice Ninja. If I had to pick a negative it would be the rather plain design of the Kanban boards. However, these appear to be a new development so I’m sure they’ll soon spruce them up quite a bit. Invoice Ninja has allowed me to really streamline my admin and invoicing tasks, which can be quite a hassle when you are a small business owner. Being able to automate processes and track time effectively has meant I’ve been able to more accurately invoice clients and also free up more of my time. Invoice Ninja makes it very easy to design invoices like I want them. It also provides plenty of options to customize the billing workflow. I like that I can set up recurring invoices, and my clients can set them to be paid automatically. Being able to set different payment gateways is helpful so I can support Credit Card, ACH, and Check. It's also nice that I can set a discount when paying by ACH, since it has lower fees. There can be a learning curve, especially when setting it up for self-hosted usage, but there's a SaaS version that eliminates the setup work and makes it pretty easy to use. Customizing the invoices requires knowledge of JSON and pdfmake, and customizing the client portal requires using CSS; however, there are quite a few different built-in options for invoice designs already. Strongly consider the SaaS version at https://www.invoiceninja.com/ instead of self-hosting. It's slightly more limited in flexibility and has a monthly cost for the pro version, but they handle the setup and updates for you. I send invoices to my clients. I can customize the design of the billing portal and the invoices so they match the rest of my branding. This makes my branding more cohesive and gives a professional appearance. It's got a very straightforward and user-friendly interface that allows for quickly creating an invoice and sending it off to the client. The customer support team seems to answer your questions in the absolute least amount of words possible. Nothing like compared to Hubspot's outstanding customer service where they're always happy to hear from you, and use descriptive words / detail in their answers. The settings, and some of the day-to-day uses can definitely get clunky. For instance, constant auto-fill from the last edited description as opposed to saving a primary description template. evereytime a new line item is entered it, it gets saved. After ~6 mo of daily use with multiple team members, I had to manually delete ~400 line items because they were clogging up our drop down choices - yet slightly different than the original (pertaining to the customer's needs) yet, they are auto saved every single time. I haven't found a way to be notified of a client's credit's they have while creating a new invoice, so this must be manually checked each time. "Simply..... the best ! " Custom invoice template a bit hard to setup, not very standard . But we managed to have a layout we like. Have a free trial ! You'll see how easy it is. "Great product and great support ! " I have been using Invoice Ninja for almost a year now. Product is simple to customize and to use ! Support team answers fast. I have been using Invoice Ninja for almost a year now. Haven't come across any issues so far. Seems to fit my needs. Helps me generate my invoices. Helps my customers keep track of their invoices and payments. "Very flexible and complete for invoicing and project management." The Flexibility and frequency of good updates. The developer releases new features every 2 months or so, sometimes even faster. The GUI could be a little bit more modern. It is very intuitive however it could look better. Managing my invoices and to bill hours. Recently they added a proposal system that we are also trying to take advantage of. "Love Invoice Ninja! Super affordable and easy to use." This is really picky, but as a graphic design, there some small picky design/icon changes I would make in the app. I switched to Invoice Ninja from Quickbooks. I was overpaying for what I was using. Invoice Ninja is also easier to use, so it's saved me money, and time. * We monitor all invoice ninja reviews to prevent fraudulent reviews and keep review quality high. We do not post reviews by company employees or direct competitors. Validated reviews require the user to submit a screenshot of the product containing their user ID, in order to verify a user is an actual user of the product. Hi there! 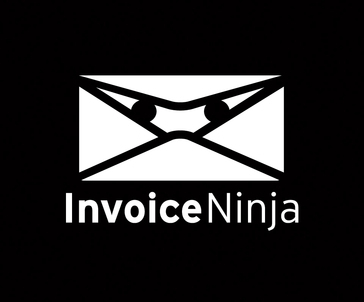 Are you looking to implement a solution like invoice ninja?